Last month, Georgia exported 6.25 mio bottles of wine to 24 countries, which is 22% more than a year earlier. 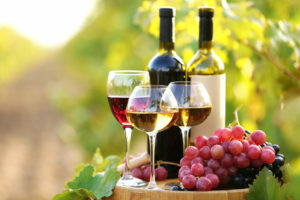 In January, Russia (4,602,218 bottles), Ukraine (553,164 bottles), China (281,229 bottles), Poland (268,724 bottles) and Kazakhstan (156,120 bottles) were the largest importers of Georgian wine, Azernews reported. In 2018, Georgia exported 86.2 mio bottles of wine (worth $203 mio) to 53 countries, which is 13% more than in 2017 and a record figure for the last 30 years. 2017 exports were at $170 mio (76.7 mio bottles) representing a 54% growth to 2016. Azerbaijan ranks fourth among Georgia’s biggest trade partners, preceded by Turkey, Russia and China. Georgian exports to Azerbaijan include cement, locomotives and other railway vehicles, mineral and chemical fertilizers, mineral water, strong alcohol, glass/glassware, and pharmaceuticals, inter alia. Azerbaijan mainly exports to Georgia oil and petroleum products, natural gas, plastic, furniture and constructions materials. Azerbaijan is the first in terms of investing in Georgia. According to the National Statistics Office of Georgia, bilateral trade made up over $835 mio between January and October 2018. Georgia is one of the oldest wine regions in the world. UNESCO included the ancient traditional Georgian winemaking method in the UNESCO’s Intangible Cultural Heritage Lists.